Many organizations want to change the planet, and generally, the one that raises the most amount of money believes they did the most... too stupid for words. But, if there is one thing that is sure, the world copies each other, fashions spread around the planet faster than a speeding bullet, or that man with the cape. I would encourage traveler to start a new fashion. I know in Canada, there are few cities, or communities, where plastic bags are now considered gauche, classless, sort of non-intellectual. Now, this is sort of absurd, but for whatever the reason, getting rid of plastic bags seems like a good idea to me. "No thanks, save a turtle." 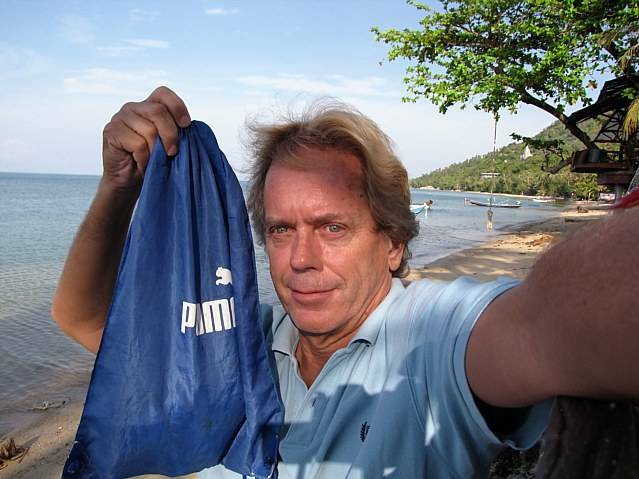 Now, I am just propagating the idea that plastic bags kill sea turtles, and real or unreal is not important to me. I think there are too many plastic bags distributed around the world. Therefore, I know these Thai people are watching, I know they think somehow us Americas are smarter, little do they know we are just as stupid as them. (Most cultures are equally stupid) Nonetheless, all cultures are always on the look out for a way to upgrade their status, and the simple way it by copying other cultures. America intellectuals want to copy the French, even though they have big noses. You kids want to get tattoos, because all their rock stars have tattoos, even thought it makes them unemployable. Che Guerrero is copied everywhere on the planet, there has never been more money made off one icon, then off this boy Che, and truly Castro was probably ready to kill the guy. Whatever the case, if every Farang in Thailand walked into the 7-11 and refused a plastic bag, the smart little Thai people would think we knew something special, and probably copy us. Well, saying all that, there is a need for plastic bags, they help you carry tons of crap home. Therefore, when I go walking around, I often carry a small bag, this day bag is a replacement for the plastic bag. Never know, I do not think plastic bags are going to be outlawed, but one day I hope they go out of fashion.